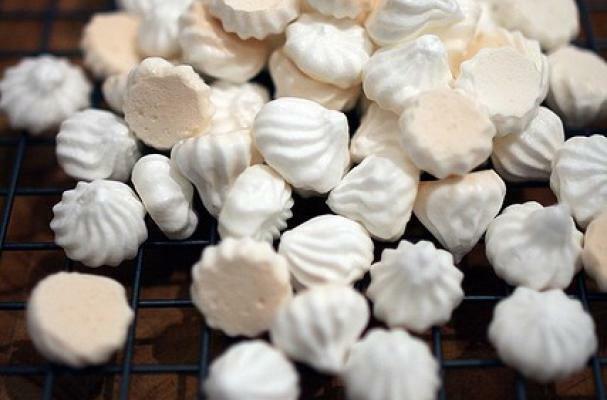 Meringue cookies are light as air and contain no fat! They easy to make when you have a little know how (like this video). The key to whipping perfect egg whites is to not let any form of fat be mixed with the egg whites. This means having a clean bowl (glass or stainless steel are better than plastic) and separating your eggs very carefully (no yolk!). You can flavor your cookies with a number of extracts and dye them fun colors using food coloring. If you are in a festive mood, make lemon meringue bird's nests for Easter.